This week's Dispatch Ontario is brought to you by, The Fae's, Ski-Sled-&-Snowshoe Winter Race. It might officially be spring, but the weather is definitely saying otherwise! 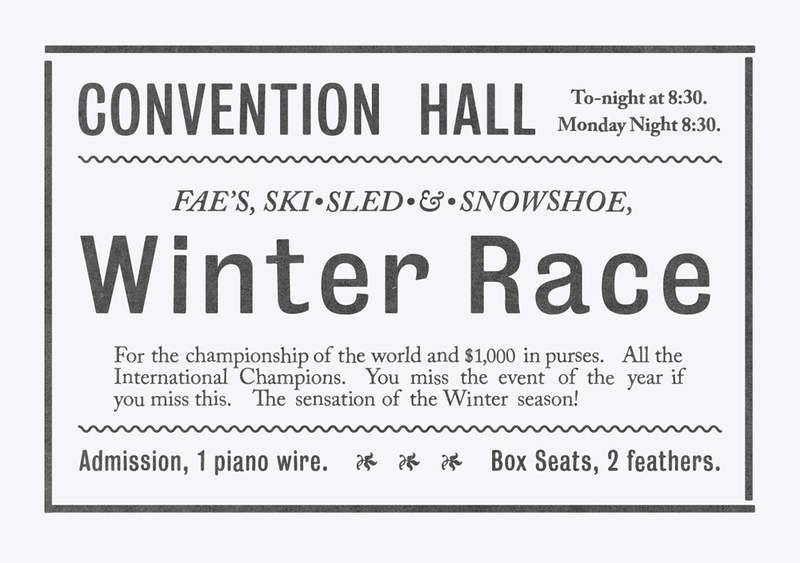 Fae's, Ski-Sled-&-Snowshow, Winter Race. For the championship of the world and $1,000 in purses. All the International Champions. You miss the event of the year if you miss this. The sensation of the Winter season! Admission, 1 piano wire. Box seats, 2 feathers.